Fire/rescue crews responded to a 2:04 p.m. alarm Saturday (March 25) to Keaau Beach (aka Shipman Beach, Haena Beach) for three swimmers in distress about 100-150 yards offshore. Two girls had been swept out into the ocean due to a current and a man went into the ocean to assist them. The fire department’s Chopper One dropped two rescue crewmembers into the water to assist with getting the swimmers airlifted back to land. All swimmers and personel were safe after the rescue operation. 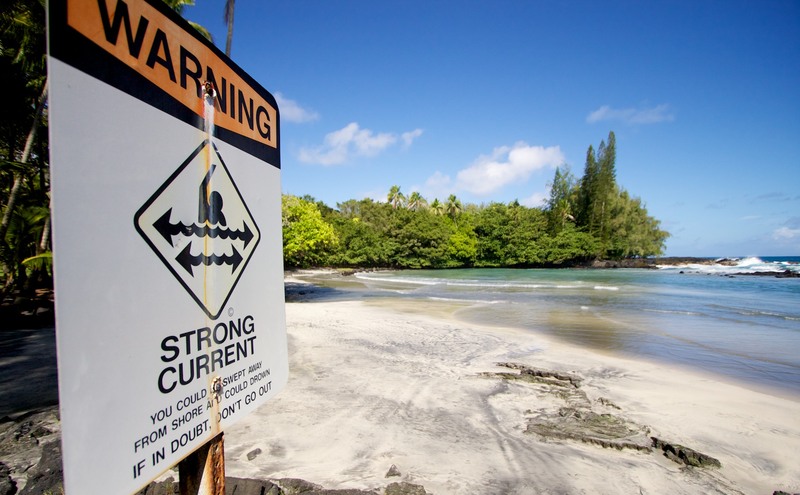 The National Weather Service has issued a High Surf Warning for the west-facing shores of Ka’u, Kona and Kohala effective now through Monday morning. A High Surf Warning means there is a significant threat to life and property from the surf. Surf up to 12 feet is predicted along these shores with highest surf heights to coincide with the high tides this afternoon and again early tomorrow morning. Oceanfront residents, all ocean activities and beachgoers along the affected shores are advised to be on the alert for possible high and dangerous surf. Should conditions change, beach or road closures may occur without notice through tonight. You are advised to exercise caution due to the unpredictability of huge swells and dangerous surf.